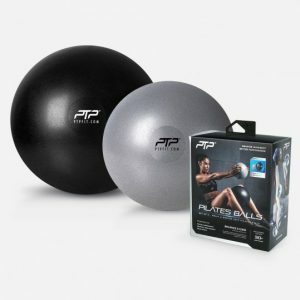 Strengthen and tone your pelvic floor muscles, hips, abdominals, obliques and back with the use of a Pilates Balls. Using the various ball sizes allow you to perform a wider range of exercises with different levels of assistance or resistance. Suitable for all ages, you can use the Pilates Balls in leg and abdominal exercises or as a supportive base to improve your body’s alignment. With exercises carefully developed by a Pilates expert, you’ll learn how to improve overall strength, flexibility and balance control with an emphasis on preventing musculoskeletal imbalances.